Most fraudulent activity that takes place during the sale of used vehicles falls under one of two categories: non-disclosure or affirmative misrepresentations. The first occurs when a dealer purposely withholds information that affects the value or desirability of the vehicle, while the latter involves taking a more active role in misleading customers. 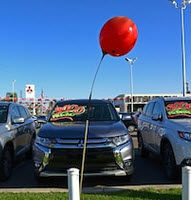 Fortunately, both state and federal law prohibit both non-disclosure and affirmative misrepresentations when used as a form of deception by used car dealers. For help pursuing your own claim against a used car dealership that utilized these types of practices, please contact a member of our used car fraud legal team today. A vehicle’s warranty has expired. Plaintiffs who are able to demonstrate that a dealer omitted these kinds of material facts when selling a vehicle, which resulted in a financial loss, are often entitled to a refund for the cost of the vehicle, compensation for the cost of repairs, and attorney’s fees. Quoting a monthly payment amount to a buyer that reflects the cost of the vehicle, as well as additional items and services not requested by the buyer. In other cases, misrepresentations are even more blatant, such as telling a customer that a vehicle is new when it is actually used, or labeling a car as certified pre-owned, despite there being no such endorsement from the manufacturer. One of the most common affirmative misrepresentation-related schemes is known as yo-yo financing and involves a dealer selling a vehicle to a customer under a payment plan and then a few weeks later, contacting that individual and notifying him or her that the customer’s credit application has been denied. At this point, the customer is often pressured into accepting a more expensive in-house payment plan in an effort to retain the vehicle. In addition to being able to collect a refund for any payments made on a vehicle, compensation for repairs, and being permitted to cancel any outstanding loan obligations, plaintiffs who successfully demonstrate that they were defrauded by a dealer could receive punitive damages, which are awarded when a dealer’s conduct is particularly predatory. To learn more about the types of activities that qualify as fraud in the used vehicle sales industry, please contact Louis S. Schwartz at CONSUMERLAWPA.com in Philadelphia today.